What Will My Loan Repayments Be? You have graduated, started your professional career and have had enough of share accommodation – what are your options? For me, backpacking round South America was the goal. But, many of my clients turn their minds to buying a home once they land a job. For graduates, the options are not that clear-cut. Often they have to make compromises. Their first job does not pay enough for a harbourside mansion, savings are not huge and many are still paying-off HECS. So, for first time buyers, what are the options? Rentvesting is a phrase that has appeared quite a bit recently, where a first home buyer purchases an investment property they can afford, gets tenants for it, but then chooses to rent in a location they want to live in. Typically, this means your millennial buys an investment property in Queensland but rents somewhere funky like Surry Hills or Richmond. Keep HECS. It might feel like a millstone around our necks, but HECS is actually a very affordable loan. Many prioritise paying off HECS pronto, but you may be able to afford a better property if you keep it! The reason is that HECS repayments only start at 4 per cent, whereas when a lender comes to asses your loan they assume that interest rates are at a minimum of 7 per cent! 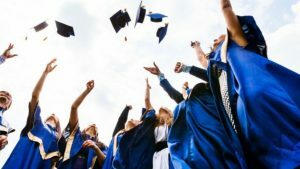 So, if you have built up quite a bit of savings, although there is a temptation to pay off HECS you may be better-off keeping the cash and using it as a larger deposit for your home. Choose your lender wisely. Buying a home is not cheap – there can be lots of additional costs. Lenders understand this and some of the bigger lenders have special First Home Buyer packages that offer you discounts on things like home and contents insurance. Sure you can go to a cheap lender but it may be a false economy if you are then paying through the nose for insurance etc. At Origin Finance, We Put You First. Origin Finance is one of Australia’s most respected mortgage brokers. We provide our clients with access to a large panel of lenders with an extensive range of home loan products. Many of these lenders are well-known banks, many others are household names who only lend through brokers; others still are specialist lenders who can meet diverse financial circumstances. Origin helps you make the right home or investment loan choice. Call us today 1300 30 67 67.